Since my last holiday outfit didn't quite have enough sequins, I found sequin pants. Not only are they festive, but they make a great conversation starter at Christmas parties. Hope you're having a wonderful holiday season! The linkup blog right before yours on the list had the same sequin pants. They are so freakin pretty and styled gorgeously! I think I'm in need of those in my life. I saw that! They're just too fun not to scoop up :) Thanks so much for stopping by! That red houndstooth shirt pairs perfectly with the sequin pants! Gorgeous look!! ooo--shiny and spiffy! love your outfit--you look awesome! Ok I seriously NEED these pants! Although I'm sure I couldn't pull them off quite like you. 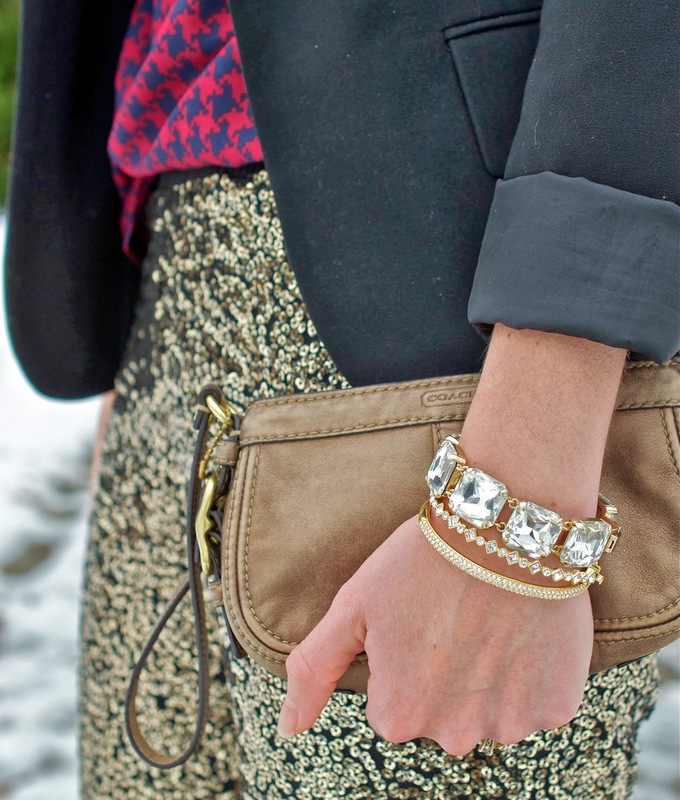 That shirt is too perfect with the gold sequins! LOVE.